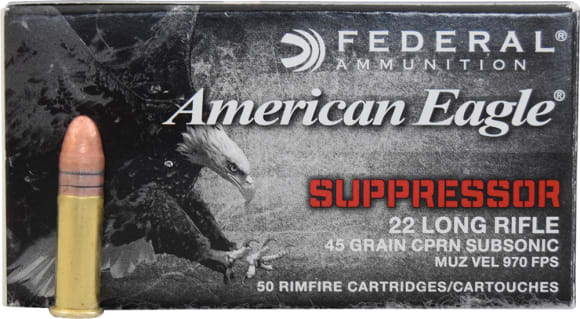 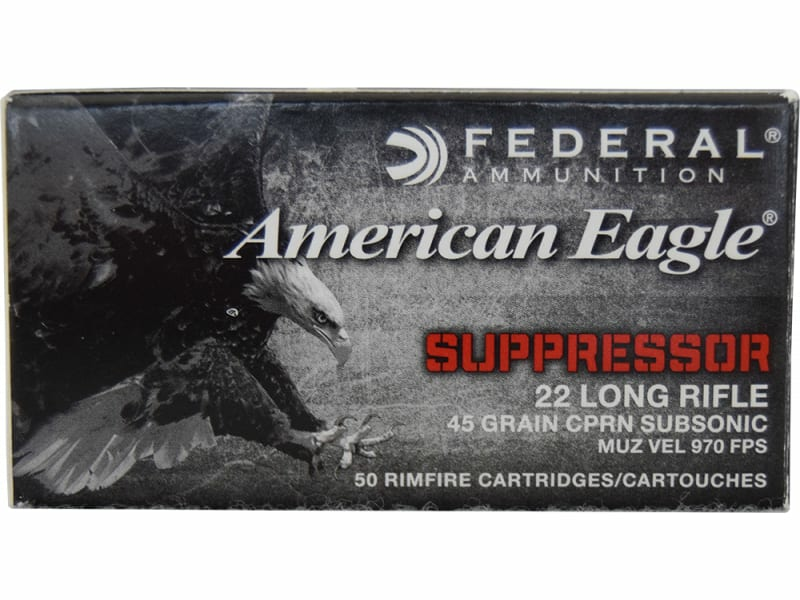 Federal AE22SUP1: American Eagle Suppressor Ammo uses carefully selected propellants, bullet weights and profiles for supressed firearms. 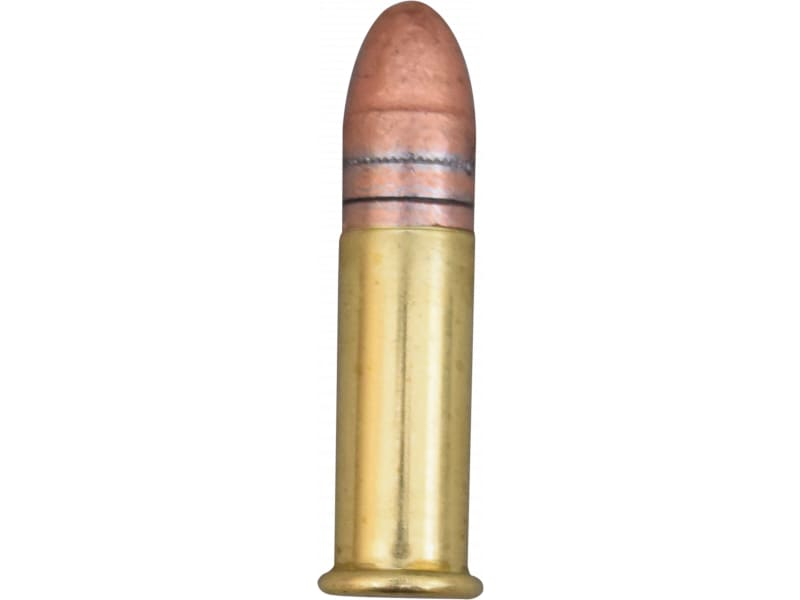 The subsonic loading not only lends itself to better noise reduction through the suppressor itself, it also reduces it by avoiding the ballistic crack inherent to supersonic loads. 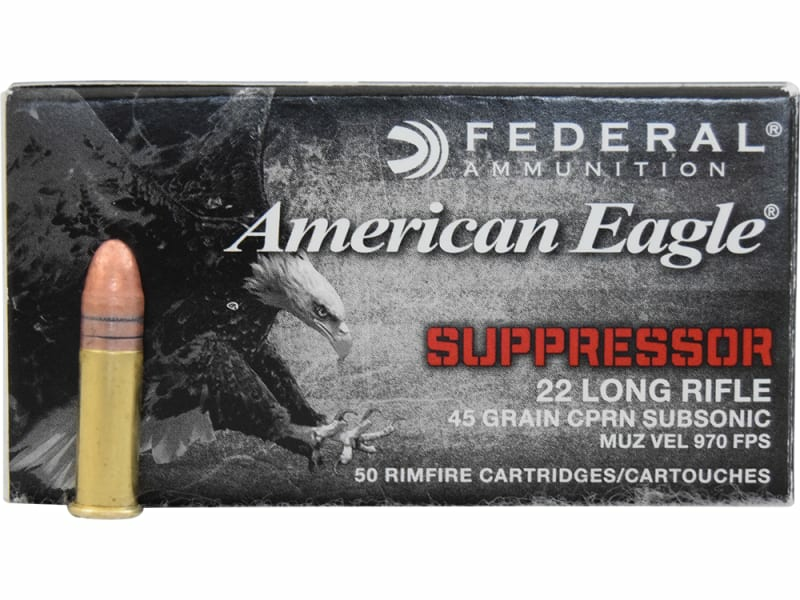 This .22LR ammo is reliable and also uses clean burning powders for easier cleanup.